X-Evian was a Spanish live CD based on Debian GNU/Linux and Xubuntu. 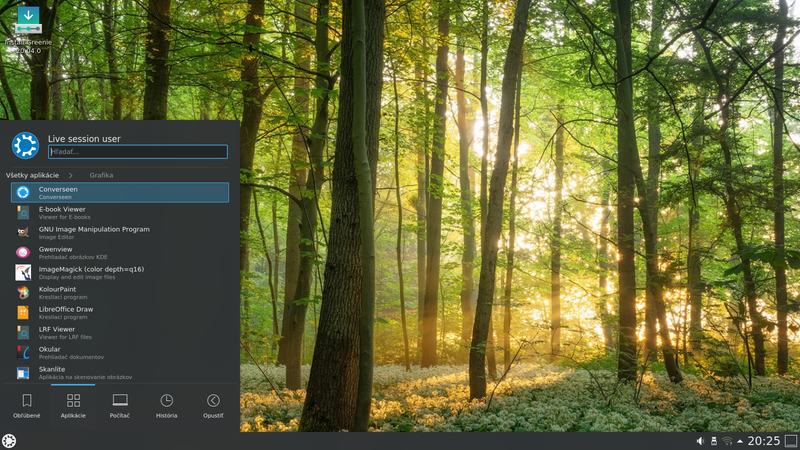 Rate this project Greenie Linux is a Slovak desktop distribution based on Ubuntu MATE and optimised for users in Slovakia and the Czech Republic. The project's latest version is Greenie Linux 18.04. "The new version of the Greenie operating system is here. Greenie 18.04 is based on Ubuntu MATE 18.04 LTS. 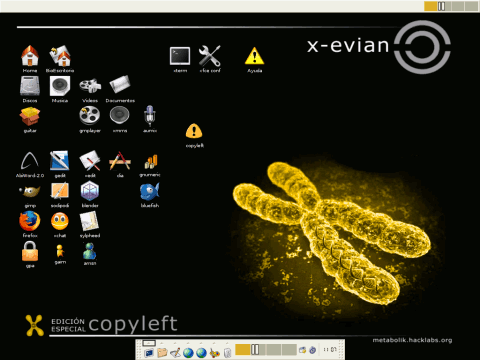 Kernel 4.15, LibreOffice 6, GIMP 2.10, MATE 1.20 and much more packages are included. A good selection of programs will allow beginners to use this system immediately. It includes the OpenTTD game (including expansion packs), terminal tools and aliases, add-on fonts or pre-installed WINE. As opposed to Ubuntu MATE, the system is cleared from language packs, fonts, or documentation in languages that are useless for users in Slovakia, Czech Republic or Poland." Further details can be found in the rest of the release announcement, which is written in Slovak (an English translation is included at the bottom of the page). Download (MD5): greenie-18.04-desktop.iso (1,539MB, torrent, pkglist).